Herobrine is a community made (creepy story) character that has never actually been in the game Minecraft. Never the less Herobrine is just as popular as Steve the main character and the infamous Creeper. 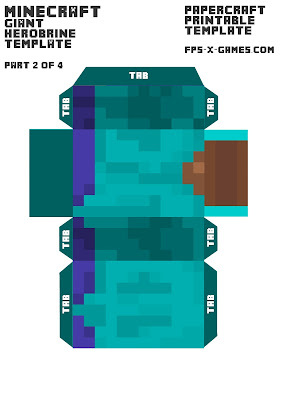 Herobrine uses the same skin as Steve, however Herobrine has bright white eyes that glow in the dark. 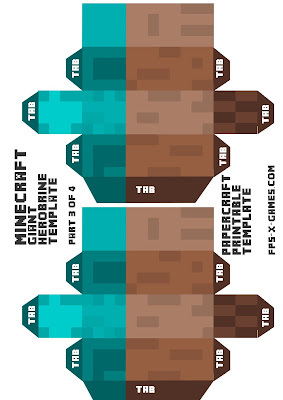 It was requested that I did a large papercraft model of Herobrine for you guys n girls to create. 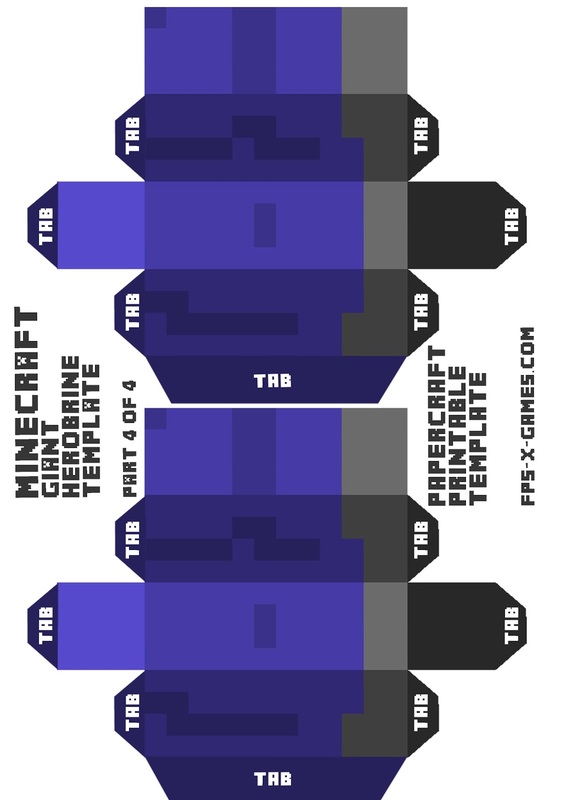 Using the large Minecraft Steve template I managed to sort Herobrine out in no time at all. 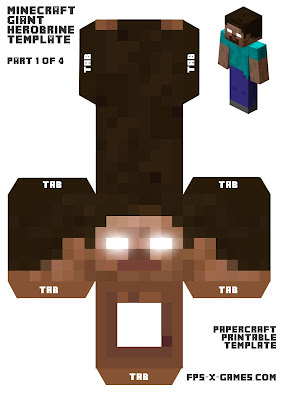 How to make a large papercraft Herobrine character. First printout all four templates below. Taking your time cut all Herobrine parts out. Glue all individual parts together. Finish by glueing the head, limbs to the body. 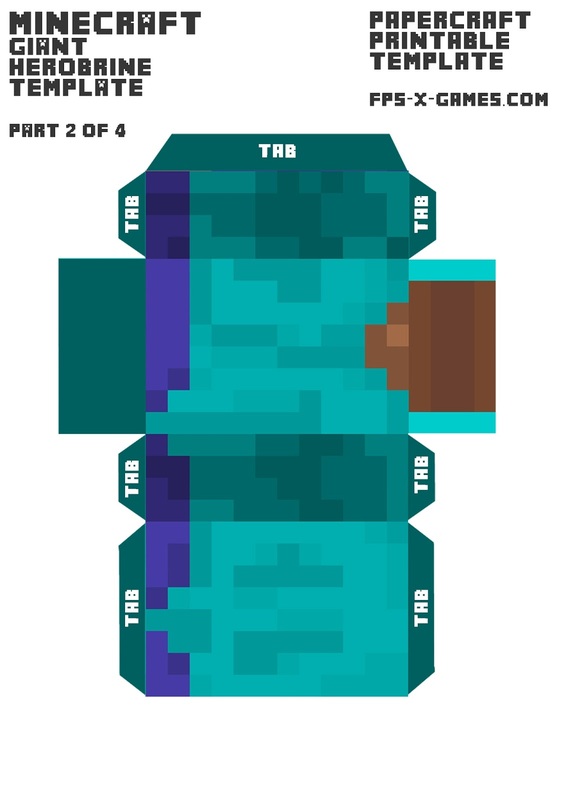 Idea: head could be turned left or right, you could make Herobrine look like he's walking. If you need any help or have any more Minecraft requests then please comment below, thanks. Actually, I went on the Mojang site a few days ago, it said on the 1.7 update that they removed Herobrine. 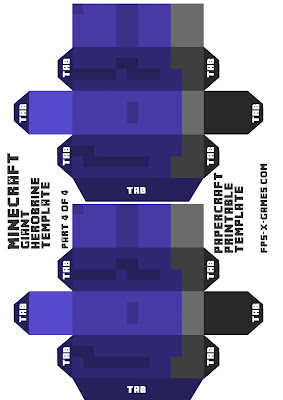 But nevertheless, an awesome template! It's not true. me and my friend have seen a few sightings of him and he blew up her house.